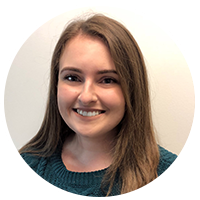 Alexa Maines joined the 24/7 Meteorological Operations Team as an intern in March of 2016 and was hired full time in March of 2018. She writes editorial stories, posts to social media, produces forecasts and offers phone and email support to clients. Maines holds a B.S. degree in Atmospheric and Oceanic Science from the University of Maryland. She was an active and involved member of her alma mater’s student chapter of the American Meteorological Society and enjoyed participating in weather discussions and the WxChallenge. Outside of work, Maines enjoys traveling to other states and countries to visit her friends, spending time with family and exploring her hometown of Washington, D.C. Her favorite vacation spot is St. John in the U.S. Virgin Islands, where she loves snorkeling and relaxing on the beach.